I've had an egg carton of Pysanky eggs for several years and just remembered them today when I was thinking about what to post. 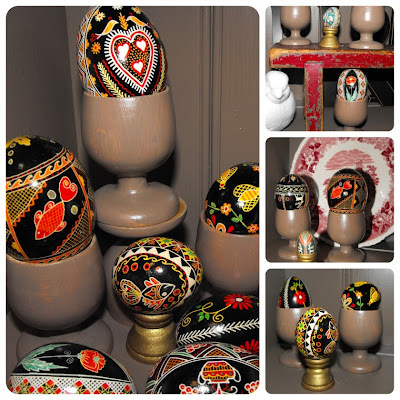 LearnPysanky and Wikipedia Pysanka are two sites with examples, how to and some history about this style of egg decoration. 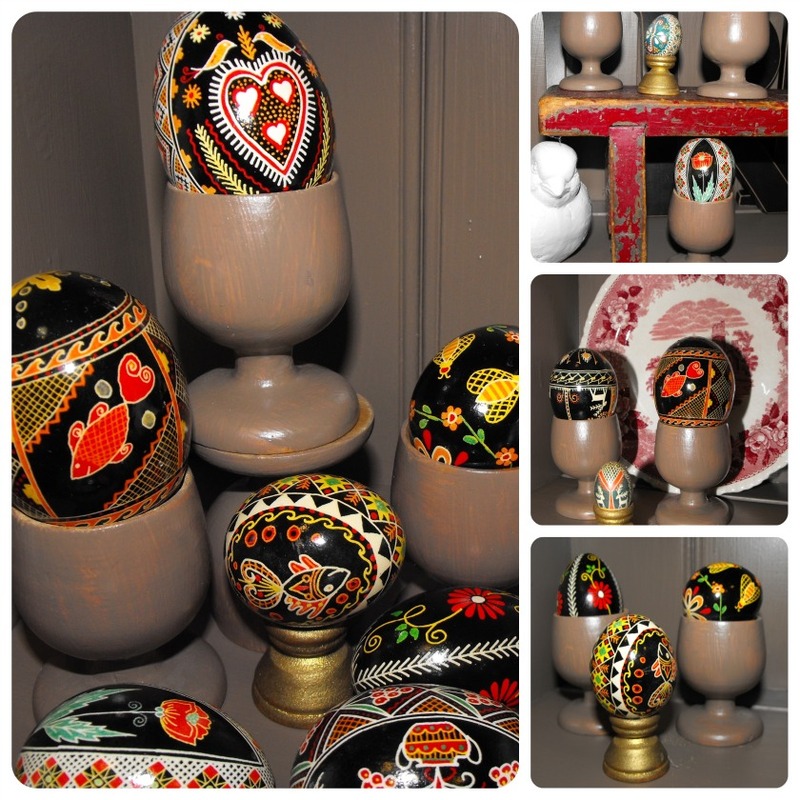 The bird cage holds a mixed selection of Pysanky eggs. They belonged to my friend A who collected them over several years. I am not sure if they meet the 'vintage' age but they are certainly not new as I have had them in the house for five plus years now and they were 'old' when I got them. If you drop one it breaks (how do I know this?). I am enjoying the results of my two projects (painting the Welsh Dresser and spray painting the faux bird cage and pottery bird white). You may have guessed I also painted the wooden egg cups with the dresser paint. The bonus is a new vignette area. You really have a wonderful egg collection... very pretty! 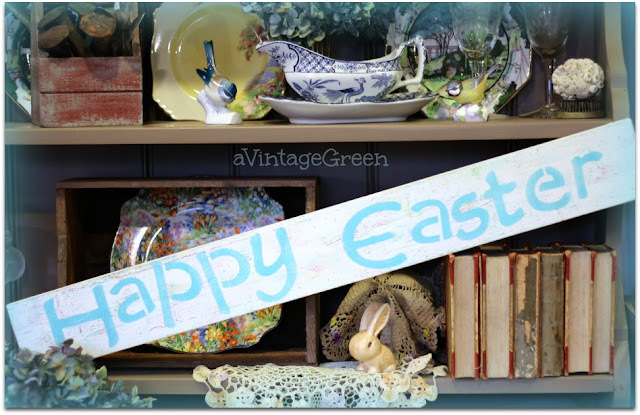 Thanks Linda, I only bring them out of their egg crate a few days each year.